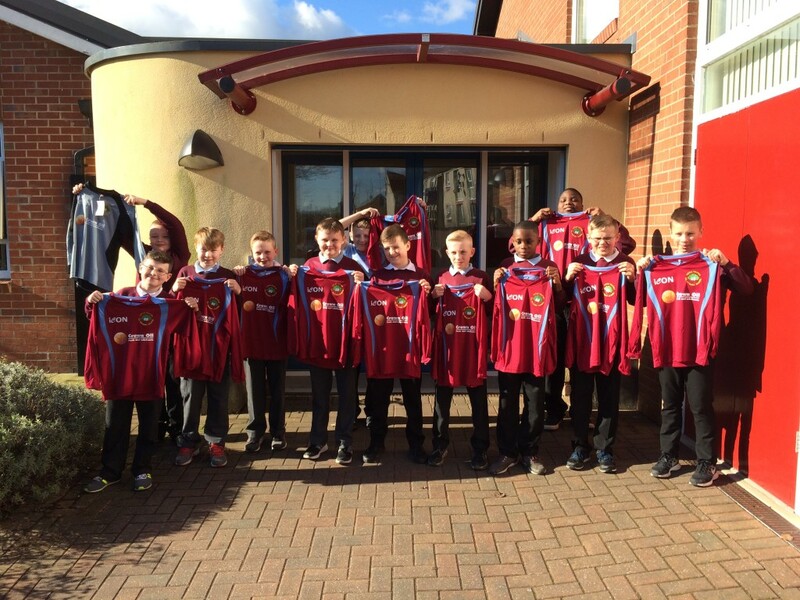 Home → News → Little Heaton CE Win Our ‘Kit Out Your School’ Competition! 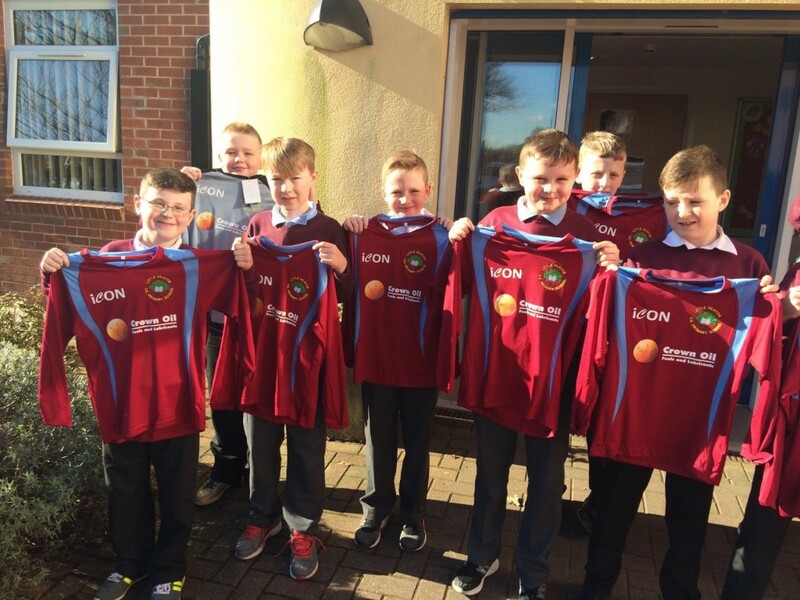 Little Heaton CE Win Our ‘Kit Out Your School’ Competition! 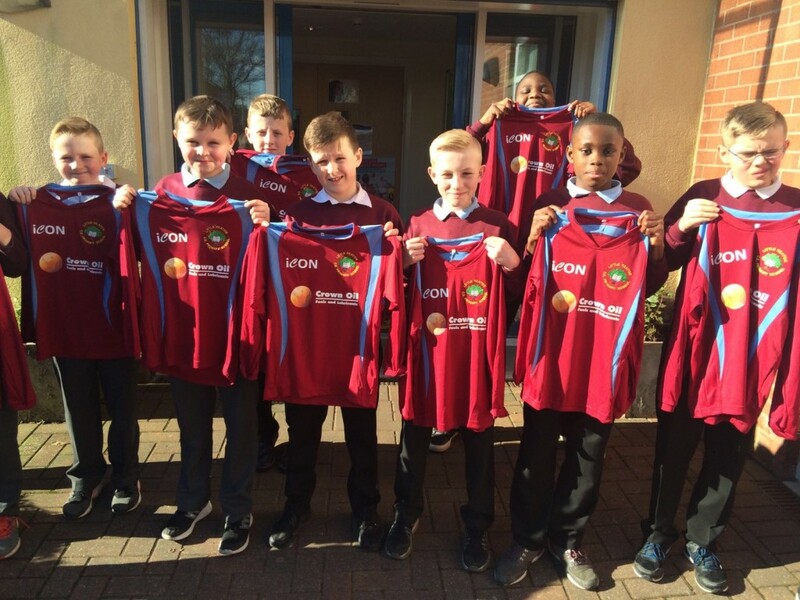 Crown Oil is pleased to announce the winner of our ‘Kit Out Your School’ competition, Little Heaton CE. 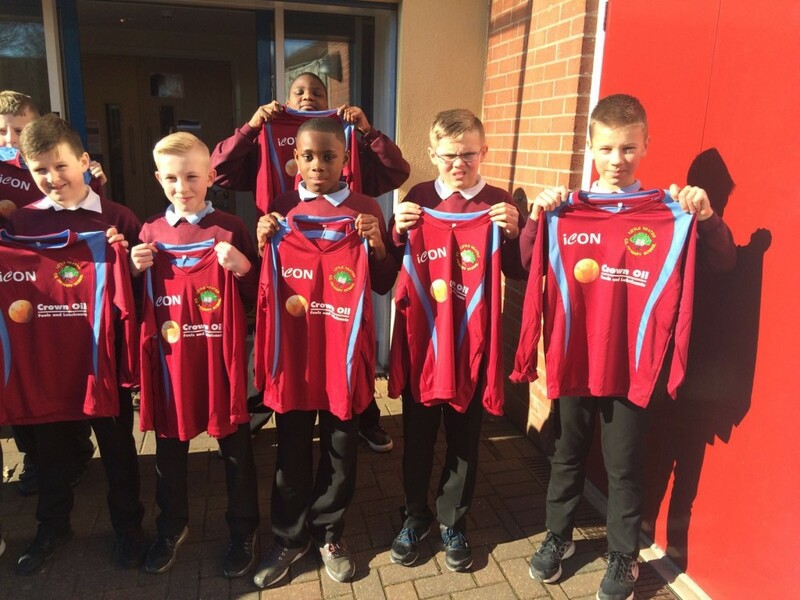 The school was informed a couple of weeks ago however, the school’s football team were kept in the dark whilst the kits were ordered and ready to be delivered. On February 25th 2016, we turned up to the school to hand over the Crown Oil sponsored football kits to the team; who were both surprised and overjoyed by their prize. 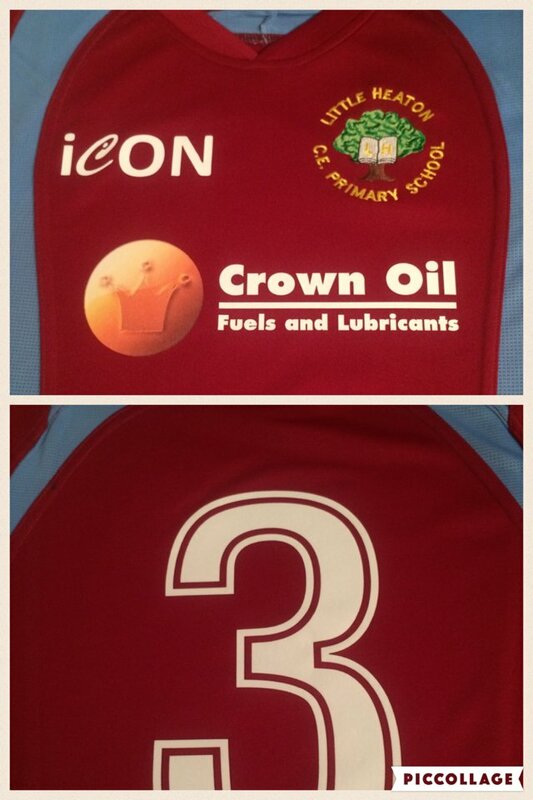 The kits, which are made by ICON Sports, comprise of a football shirt (which has the school’s logo, our sponsor, and number on the back), football shorts and football socks. As you can see in the picture above, the team were very happy with their new kit and we’re sure they’ll look the part on the pitch too!